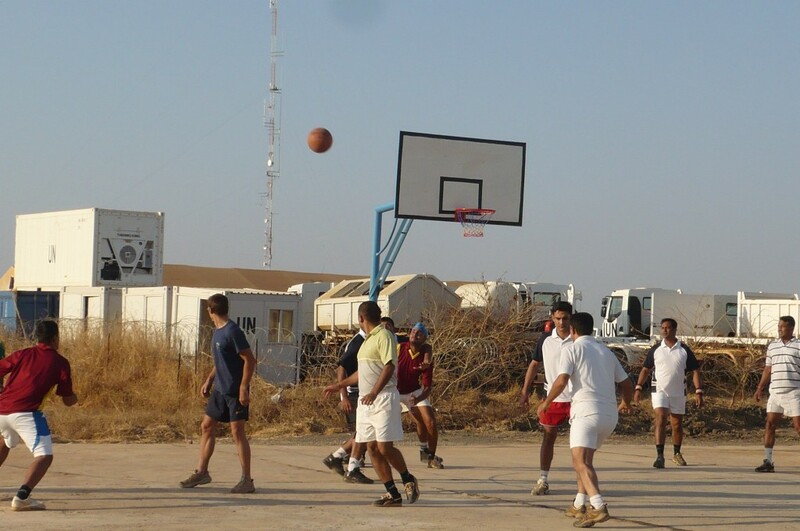 Wanted: Basketball players in Malakal! 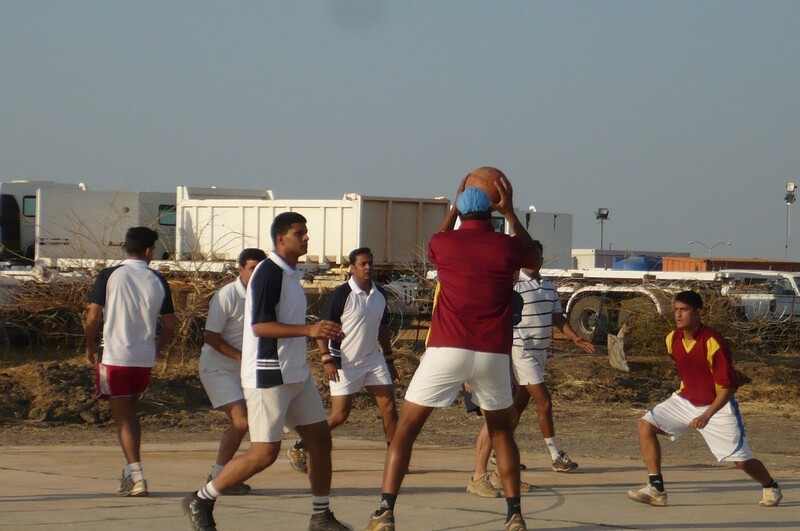 “We need Public Information Officer here, we are waiting for you,” My colleague, OT, called me today at 5 p.m.
“We are going to inaugurate our new basketball court in our compound, didn’t you get the invitation?,” OT answered. OMG! I forgot about that! I did read the invitation email a week ago but somehow I just forgot about it. I told OT that I will be there in 15 minutes. 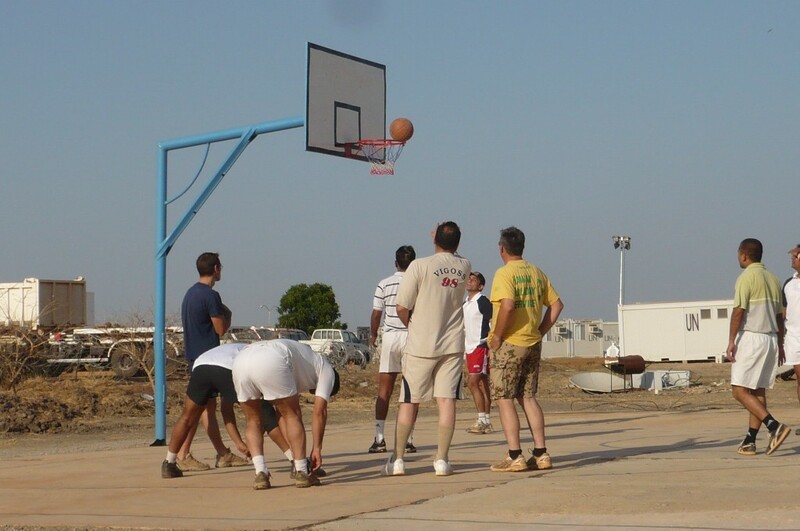 Wearing a dark green plain t-shirt with big ‘Tusker’ (famous Kenyan beer) sign on it, light brown batik pants and a pair of black slippers, I came to the brand new basketball court five minutes after I hung up the phone. “Oh my… I don’t think I’m wearing appropriate clothes,” That was what I thought when I saw the attendees came wearing sporty shirts, jogging pants, and a pair of sneakers, even some of them wearing caps matching with their outfit. I wanted to change but I guess it was too late already so I pretended to be okay and confident by sitting in the first row because I needed to take pictures. The inauguration started around 15 minutes after the UNMIS Malakal Head of Office and Sector Commander arrived in the location. The ceremony was short but meaningful. It was opened by a short speech of my colleague, OT, who is also the Head of Engineering Unit. 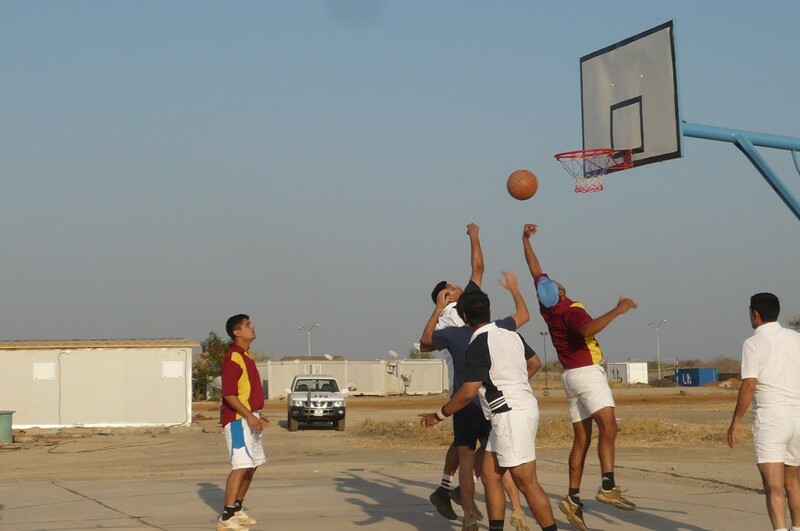 His unit together with the Indian military engineers were the ones who built the basketball court and of course it was initiated by the welfare committee. The Head of Office’s speech followed after that and she supported what OT said. She even promised that she will start to play basketball if she has a match. Basketball court seems nothing special if you live in a normal condition like living in a nice and developed town where you can easily find basketball court in your neighbourhood or at your school. 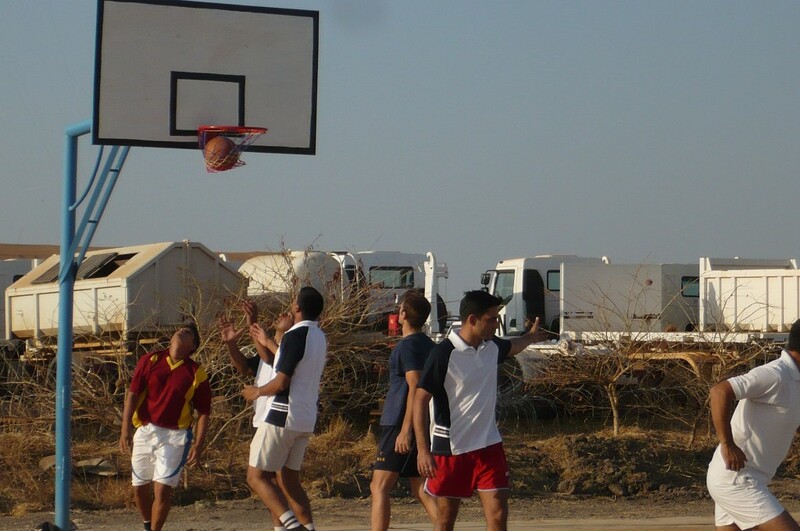 But in Malakal, the situation is completely the opposite, by having basketball court in our compound we feel like having something fancy! So far what we could do for exercise was just jogging/walking around the compound and went to the gym but the equipment was hardly to be maintained. 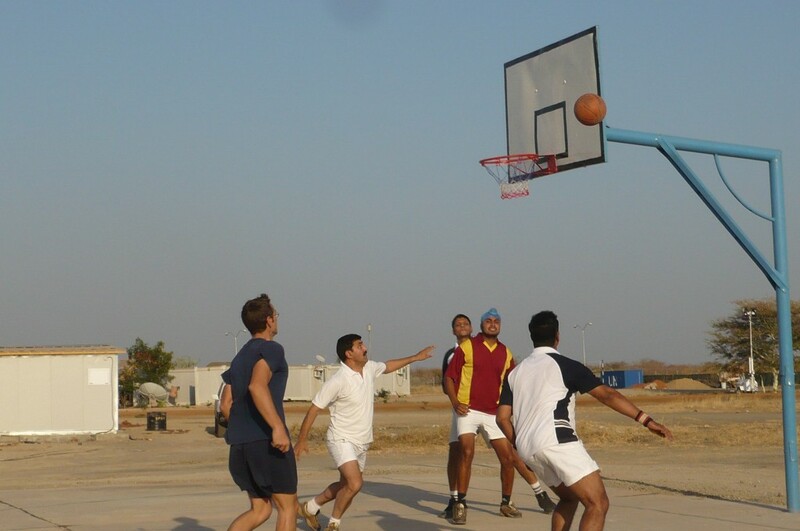 Basketball is becoming our new entertainment and recreation, at least now we have more options on the activities outside working hours. It was really a great initiative of the welfare committee! 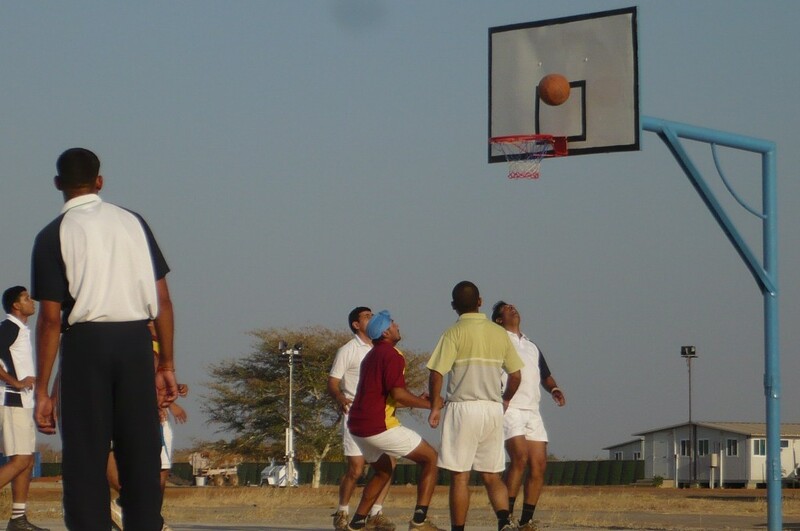 The ceremony was closed by cutting the ribbon by the Sector Commander and then followed by a friendly basketball competition between civilians, UN Police, and military. I watched the first round of the game and it was very interesting! Military had definitely beaten the civilians and UN Police since the beginning. The weather was very hot this afternoon but it didn’t stop us from cheering on and giving support to our teams. This story was published at http://pralangga.org – Our Peacekeeping Journey under the same title. Err that was unusual, my opinion got eaten. Nonetheless I needed to say bless you for the update. Wow! It’s a real shame more folks haven’t heard about this place, this had just the thing I needed today. Regards for this excellent information. Now and again, the greatest info come from the sources one wouldn’t expect. Up unitll now, I failed to give a whole lot of thought to posting comments on blog entries and have left opinions even less. Looking at your great blog, might help me to do so sometimes. Useful contribution. Looks good to me. I have read a few of your other posts and they are all informative too – keep up the good work. Thank you !